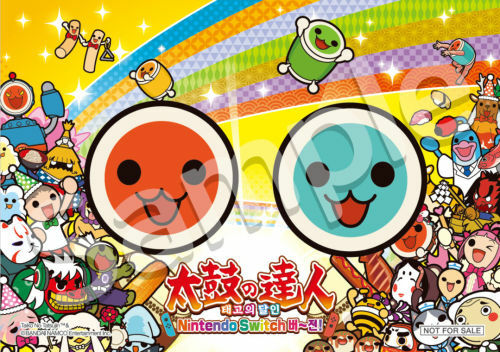 Bandai Namco Entertainment has announced the pre-order freebies for Taiko no Tatsujin: Nintendo Switch Version in South Korea. A download code to redeem Gold Don-Chan will also be included in every copy of the game, similar to the Japanese version. Taiko no Tatsujin: Nintendo Switch Version launches July 19, 2018 in East Asia. The game supports English and is now available to import on Amazon Japan. South Korea, Switch, Taiko Drum Master Nintendo Switch Version!